There’s so much to learn about the history of the world. In fact, people may be confused on where they start. There’ so much information online, and history videos they can watch. The internet is filled with all the unlimited information that one can learn to learn history. In the case of the history of San Diego, such history can be condensed in an article. This article will attempt to do that. It will try to explain some of the important historical events that happened in the place. At the same time, it will offer valuable information for anyone who wants to learn about the region. Let’s start. We can start the history of San Diego by describing its geography. 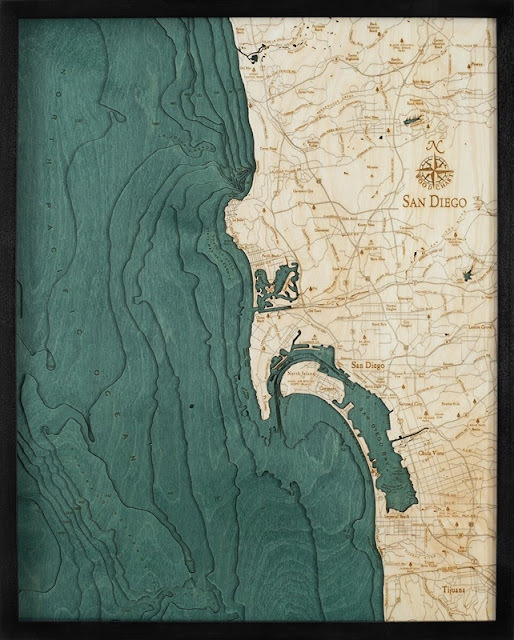 You may also find value in the fact that San Diego is comprised of the area where the San Diego bay used to be. Also, the recorded history about San Diego can be traced to when the Europeans first discovered the place. In fact, it may be accurate to say that San Diego was the first ever area in California that the early European navigators explored. This is where they settled. This is where they established the business, packed up their reinforcements and refilled their navigation supplies. With that, San Diego was described simply as California’s birthplace. https://www.carvedlakeart.com/san-diego-wood-nautical-chart-map-p/sdgo-d3l.htm Check out carvedlakeart if you want the best deals on lake art, wooden map, laser cut map in San Diego, and charts of the lakes, streams and oceans of the world. Another interesting fact about San Diego is the fact that Native Americans were the first settlers of the land. Specifically, it was the Kumeyaay people that had found roots in the region. They were residents of San Diego for about 12,000 years. The Europeans that had settled in San Diago were first led by the explorer named Juan Rodriguez Cabrillo. He first discovered San Diego bay in 1542, but not until 200 years later that the Europeans settled in the land. The establishment of the Europeans were only made possible by the fort centers and missionary delegates that stayed in San Diego in 1769. The rulers of San Diego were first the Spaniards, and then later on were transferred to the Mexicans. It may also be necessary for you to remember that San Diego only became part of the US in 1848. It was not until that time that San Diego was named as the only county seat of the San Diego County. San Diego also started as a small region, until in 1850 CalIfornia granted it the state county status. Because of this, many advances happened in the area. Some of those include the establishment of military facilities that shaped the landscape of the region. It may also be interesting for you to know that the name San Diego was only given sixty years after its discovery. The name was given by Sebastian Vizcaino when he found the place as he was mapping the areas belonging to Alta California in 1602. Also, the establishment of the settlers could not be possible without religious intervention. The Catholic influence of the explorers in San Diego gained the trust of the people. With such approach, the settlers were able to build a successful colony, as well as a trade route for better expansion.